Marigold Design House is a full-service event production business based in Kirkland, WA, specializing in premiere event design services, wedding design and planning, Soirée and intimate dinners, and creative corporate galas. 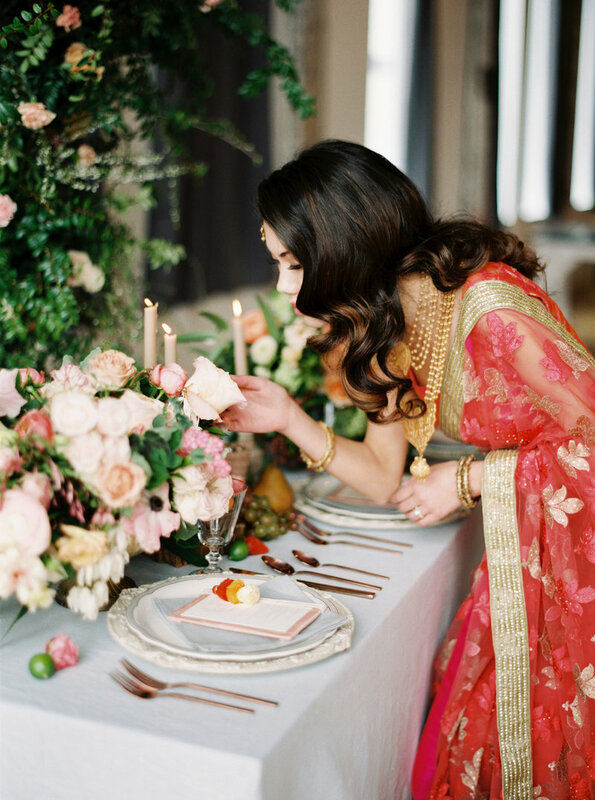 The Marigold team offers its clients a fresh and creative edge with rich knowledge and understanding of the hospitality world, fusing fashion, art and visual design making your event unrivaled! We understand the richness and magnitude of South Asian and cross-cultural events as well as the allowances for additional creativity and organization. With our extensive backgrounds in fashion, design, marketing, project management, and hospitality, we work to create the most thoughtfully planned and executed events. We believe that a beautifully designed event is more than just details, it is more than the flowers, fabrics, and fondant. Each event has a life of it’s own and requires special attention to let it grow into the beautiful creation it can be. It requires multiple layers of textures and elements to make the event come to life. At Marigold Design House, we work carefully with our clients to make sure the design is both beautiful and a reflection of their dreams. For us, the very first moment of exploring endless possibilities during the creative process is that of what could be done. The perfect storyteller strongly believes that impressions last a lifetime. The littlest of details, from florals, décor, furniture, linens, props, lights, sounds, mood, and even movement working together delivers a vision that is thoughtfully executed.